Dr. John and Rose Miciotto and granddaughter Annabelle Jones. The Miciottos were recognized for their land donation for the new St. Jude Catholic Church. 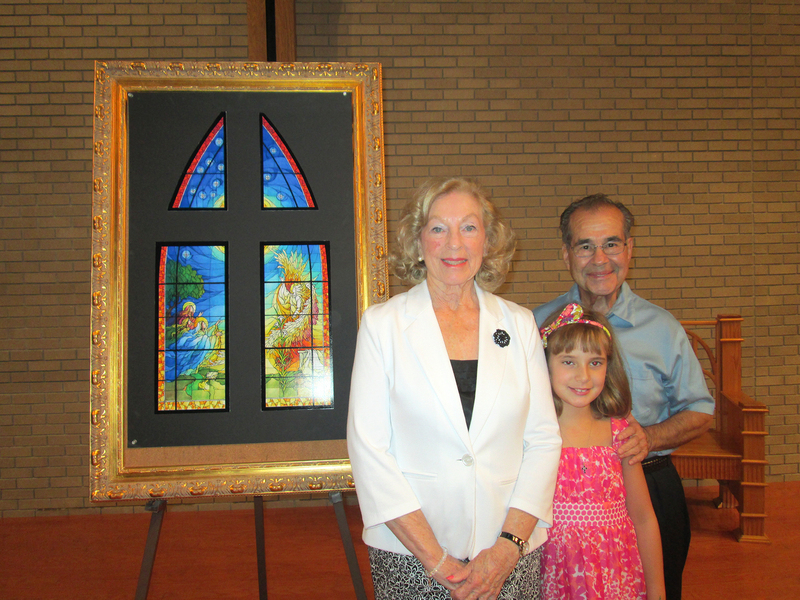 St. Jude Catholic Church held its Annual Parish Meeting Wednesday, Aug. 15.
of Dr. John and Rose Miciotto. The Miciotto’s donated 20 acres of land in North Bossier to build the new church. The church’s new tower will be named the “Hyde Tower” in honor of parishioner Smokey Hyde, in recognition of his generous donations to the new church. 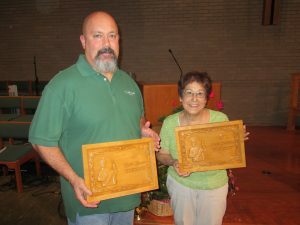 Parishioners Patsy Remedies and Chuck Bennett were given with the Servus Servorum Award (Servant of Servants) for their decades of hard work and dedication to St. Jude Parish. Parishioners Patsy Remedies and Chuck Bennett who were given with the Servus Servorum Award (Servant of Servants) for their decades of hard work and dedication to St. Jude Parish.